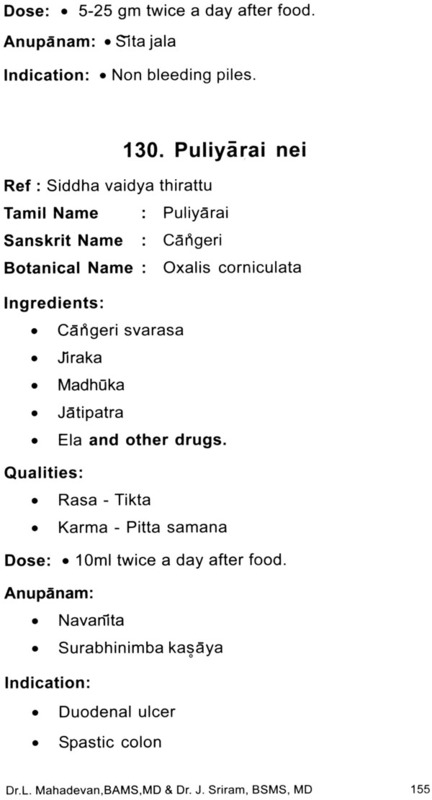 Last year, we published the book "Siddha drugs in the perspective of Tridosha Theory" in Tamil. There was a great response for that book. 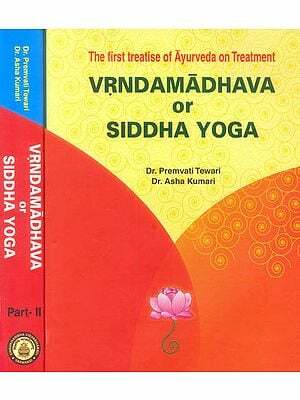 Siddha as well as Ayurvedic practitioners were highly benefitted in their clinical practice with the information provided in the book. 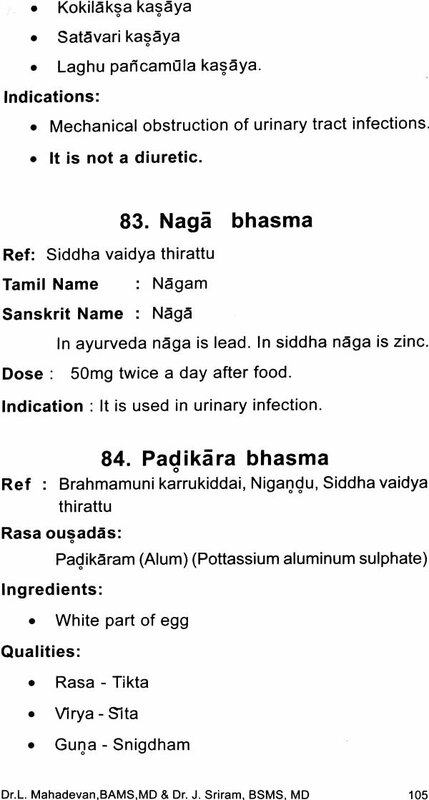 Ayurvedic doctors in Northern India are unable to understand the glory of Siddha medicine as it is not available in Sanskrit with English commentary. 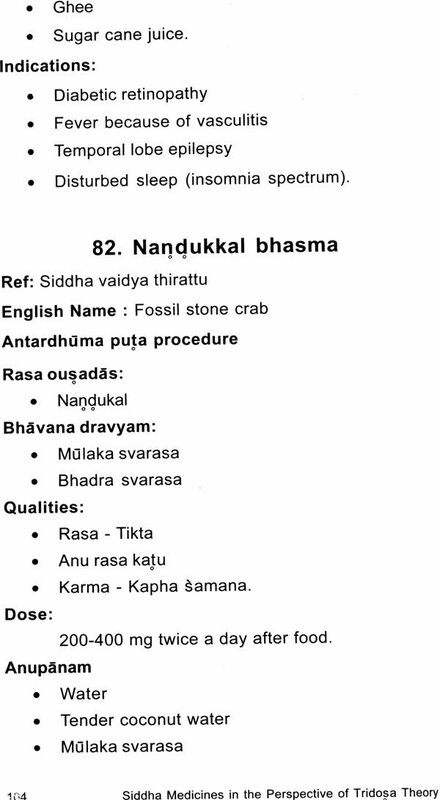 Our vision is to enlighten and propagate the Siddha system throughout the world. 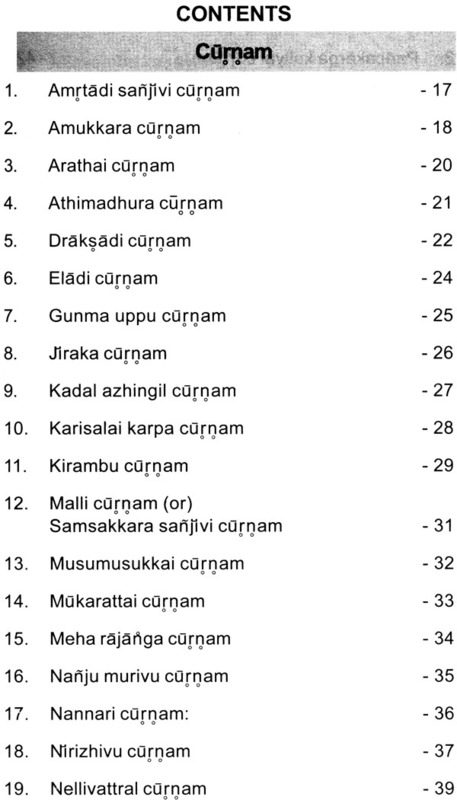 To fulfill that we are releasing the same work with Sanskrit translation and English notes. 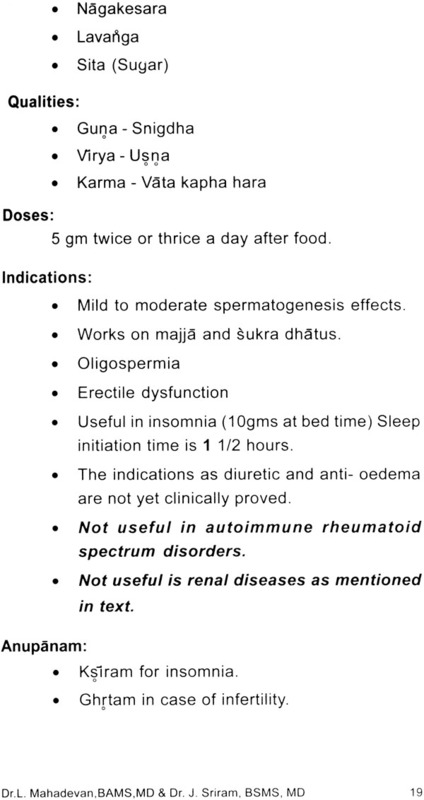 The common indications are converted into modern vocabulary. 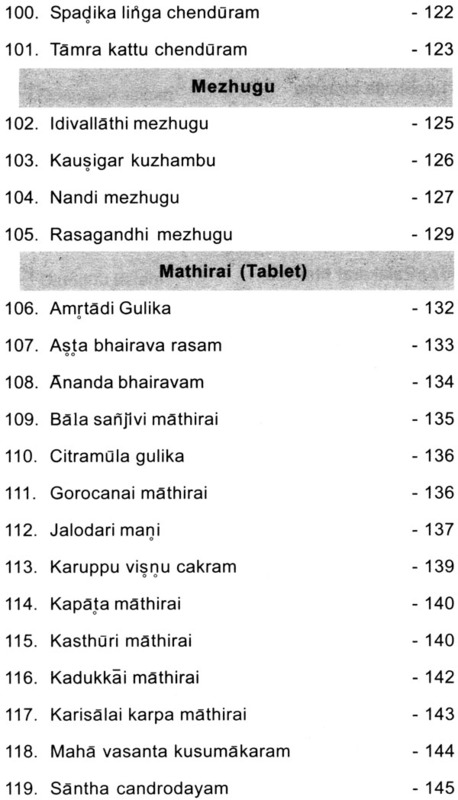 Based on the different combinations of rasa, gun a, Virya, vipaka and prabhava, drug utilities are described in an easily understandable manner. We hope, that this book will be useful to Siddha practitioners all over the world. 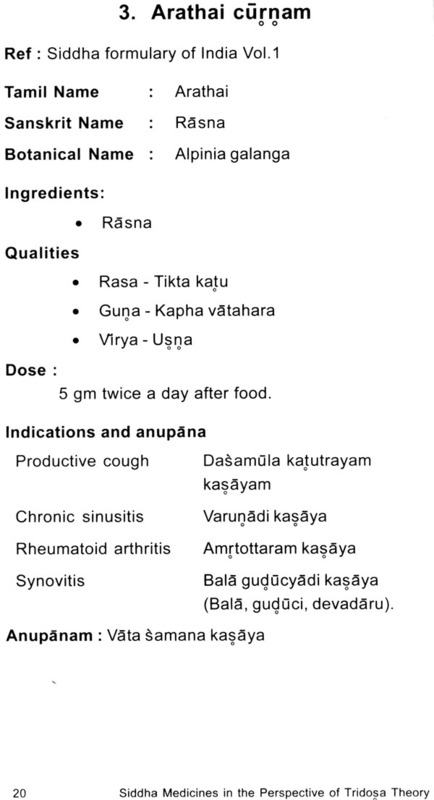 This will also help the Ayurvedic doctors to understand the range and depth of Siddha medicines. 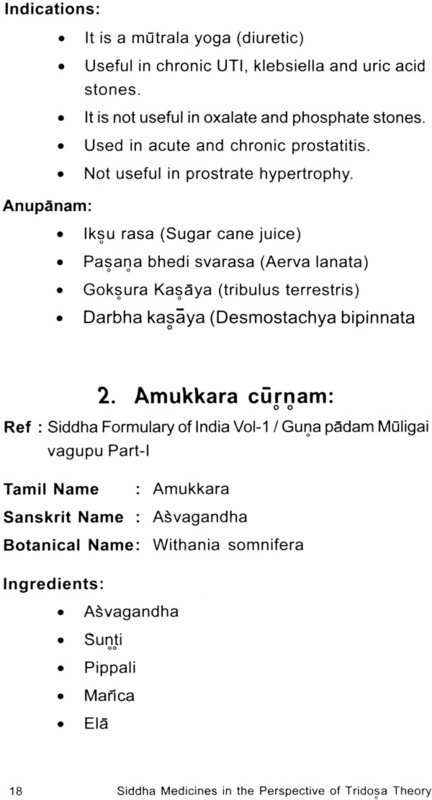 Many herbs and yogas described in Siddha medicines are not specified in Ayurveda Samhitas. 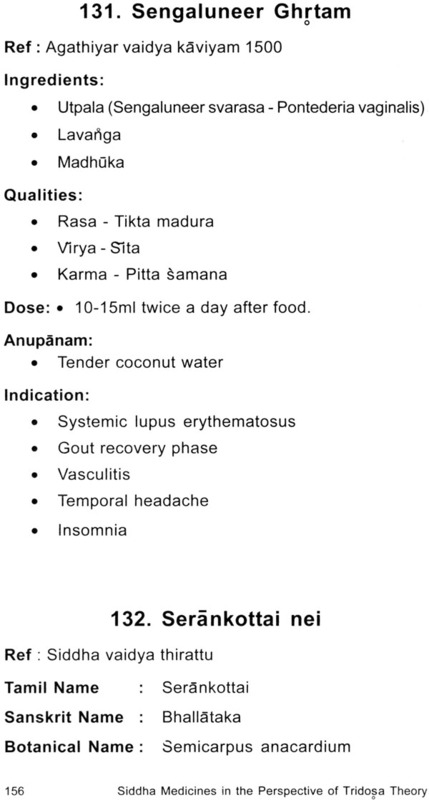 Similarly, Siddha doctors should read Ayurvedic texts to learn more about the uniqueness of that system. 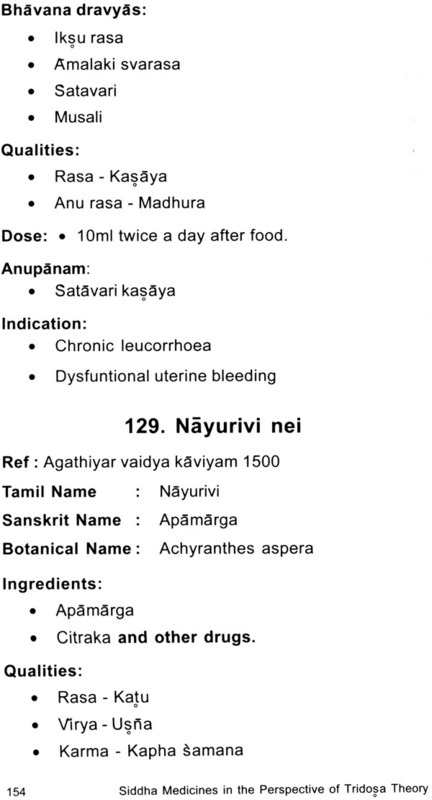 Ayurveda Samhitas are easily readable for Siddha doctors as it is available in English and a few in Tamil. 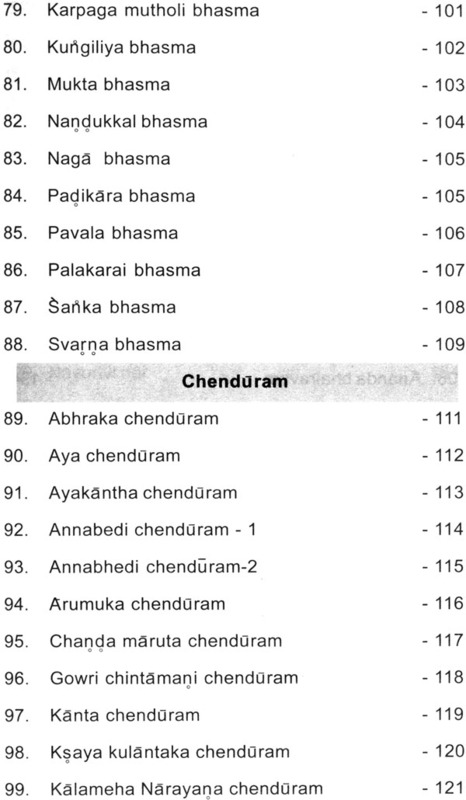 The full yoga can be refered from the respective text books for the thorough understanding the same. 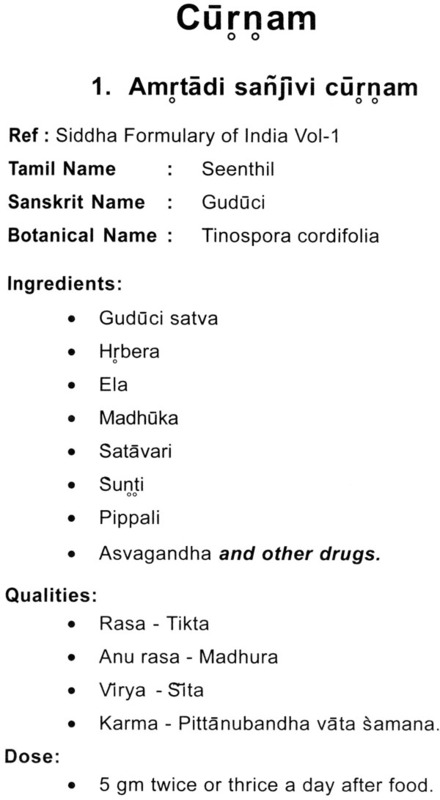 We have given few major drugs of every yoga in the text book. May Lord Dhanvantari and Lord Agastya bless us all. Suggestions for the betterment of this book is invited. We thank each and everyone who has contributed for this book directly and indirectly. We also convey our regards to Dr. Ray. 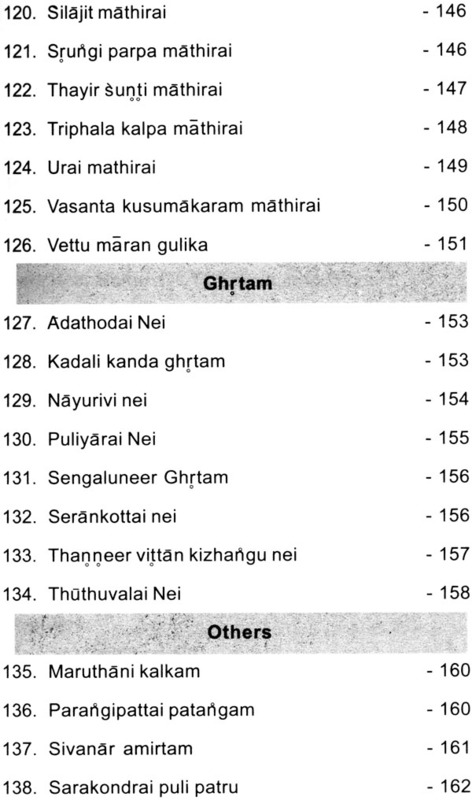 S. Devi Sahaya Mary, BAMS, M.Sc (Psych), CRAV. 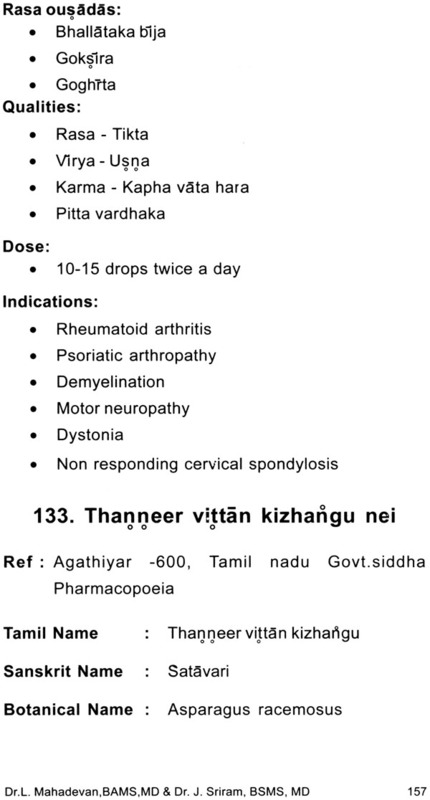 Dr. Aarthi Harini, BAMS.,CRAV. Dr. B. Jeyalakshmi, BAMS., Dr. S. Bhuvana Kalaivani,BAMS., Dr. A. Poyyamozhi, BAMS.,CRAV, Dr. M.R.Twinkle Pan Seenu, BSMS., who are our students and Mr. R.A. Saju and Miss. M.S.Abiera for making this effort successful.